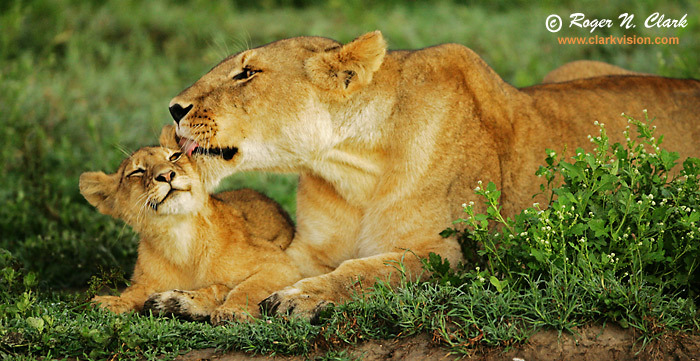 A mother lion gives her cub a big kiss, before sunrise on the Serengeti in Tanzania, Africa. Technical: Canon 1D Mark II 8-megapixel camera, Canon 500 mm f/4 L IS lens at f/4. Exposure: 1/80 second at ISO 800. Full width image, vertical crop.